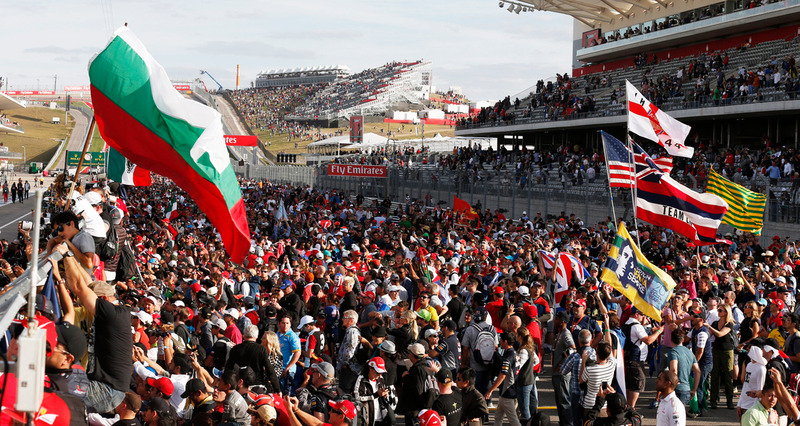 Objectives—Circuit of The Americas has created this security and privacy statement in order to document and communicate its commitment to doing business with the highest ethical standards and appropriate internal controls. Explicit Information Gathering—You can examine our entire web site without providing any information whatsoever. Our web site's request-for-more-information form requires users to give us contact information. This information is used to provide information to those who inquire about our products and services, to ship orders, to bill orders, and to handle related business matters. This information is also used to get in touch with customers when necessary. From time to time, the information gathered through this site will be used to notify you about products and services that we think will be of interest to you. Precautions For Children—Circuit of The Americas does not attempt to collect personal information from children. If a child sends personal information to us, and this information can be identified as originating from a child, the information will be deleted. We cannot always determine which information originates with a user that is a child. We do not maintain databases about children. Information Usage—When you disclose personal information to us, which is where it stays. The only exception involves disclosure to the government according to normal business practice, for instance for the collection of taxes, and according to the orders of a court, for example responding to a subpoena or search warrant. We do not sell, rent, trade, lend, or otherwise transfer such personal information to affiliates, subsidiaries, sister companies, holding companies, parent companies, strategic partners, or any other organization. Links to Other Sites—This site contains a number of links to other sites. Circuit of The Americas is not responsible for the security or privacy practices of these sites, the products or services offered by these sites, or the content appearing at these sites. Circuit of The Americas does not endorse any of the products or services marketed at these other sites. Security Measures—Our site is protected with a variety of security measures such as change control procedures, passwords, and physical access controls. We also employ a variety of other mechanisms to ensure that data you provide is not lost, misused, or altered inappropriately. These controls include data confidentiality policies and regular database backups. Contacting Us—With respect to this web site, there are two options regarding your personal information. If you wish to contact us about our products or services, then you need to disclose your contact information so that we can service your request, or if you do not wish to contact us about our products or services, we will have gathered no information about you, and you do not need to take further action. If you have elected to pursue the first of these options, after you have obtained the information you sought, you may at any time tell us to remove your name and other contact information from our database.